It appears that Busker wasn't the online tweens and teens live video platform to debut a commerce solution yesterday. 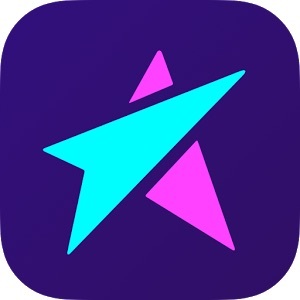 Competitor Live.me announced the availability of its own shopping features, which let broadcasters sell goods directly to their viewers. Viewers can shop on their mobile devices without leaving the live video experience. Open to select broadcasters, Live.me's shopping tools let them sell original merchandise and Live.me-branded products. Broadcasters selected for the launch include Kristina Plisko, TobyLove, King Rackbar, and CrisRocks6. The company says that dozens of other Live.me broadcasters will link to pre-selected shopping sites such as Shopify, Spotify, iTunes, and Etsy. The shopping features appear in the app's featured banner carousel, as well as within the live windows of some broadcasters. As for what percentage of each sale Live.me keeps, a PR rep would only say it varies based on the store involved and other factors. With some stores it won't take a cut. The company will offer retailers access to its influencer communities, and provide live data on product sales. Citing Adobe data, Live.me notes that 57 percent of shoppers prefer using a mobile app when buying products.